Urban Ecological Field Studies (BSC 4861L) is a research based undergraduate class where students work in groups to carry out a semester long research project. 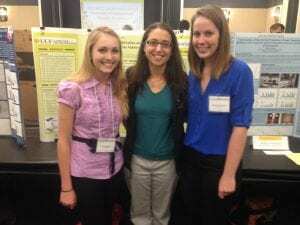 Students are encouraged to share their research in professional educational settings. 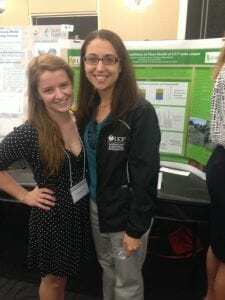 In the past, students have presented at the Florida Chapter of the Wildlife Society’s annual conference, the Florida Native Plant Society’s annual conference, and UCF’s Showcase of Undergraduate Research Excellence. The Value of UCF’s Natural Lands: Is it possible to quantify the monetary value of our natural areas? Urban Heat Island Effect: Data loggers were used to log temperatures in natural areas and urban areas. That data was analyzed to determine whether or not there was a heat island effect occurring in the urbanized part of campus. 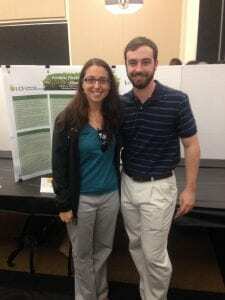 Sustainability Assessment of College Undergraduates: This project was carried out in order to determine if a correlation exists between undergraduate students’ academic College at UCF and their understanding of “sustainability” as well as their environmental attitude. UCF’s Urban Canopy Coverage: What is the economic, social and and environmental benefits to UCF’s urban canopy? Aquaponics: Testing the ability of two different aquatic invasive plant species and one invasive snail species to remove added elements from the water. Sustainable Mushroom Cultivation: Four different recycled substrates were used to measure growth of Pleurotus djamor mycelium, more commonly known as the pink oyster mushroom. Fertilizer Filtration in Conventional Ground-covers: This experiment measured the amount of fertilizer that passed through three different types of common turf grass to find the most sustainable turf option for fertilizer utilization. 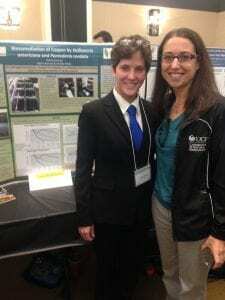 Florida Friendly Landscapes and Biodiversity: Biodiversity was measured and compared at ponds that had Florida Friendly landscapes and at ponds that did not meet the Florida Friendly criteria. 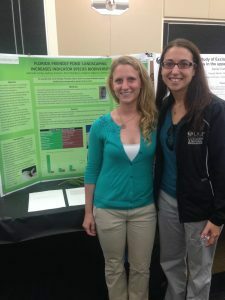 Soil Conditions and Plant Health: An evaluation of abiotic conditions in plant beds randomly selected across campus to identify how conditions affect the plants in those beds.